Seventeen years ago Catherine DeMarco spent one hot July night where she shouldn't have been doing something she shouldn't have been doing. This was a fatal mistake. Now Jimmy Taggart is sitting on death row. Details of that night are still hazy in his mind but the evidence was conclusive. No one believed in his innocence then. Only one person believes in it now. While walking through a construction site Sam Casey picks up a button, holds it in her hand, and suddenly sees the murder taking place, hears the name of the killer in her head...it's not Jimmy Taggart's. A perfect blend of mystery and paranormal in the third book in the Sam Casey series. Originally published in 2002 in hard cover. 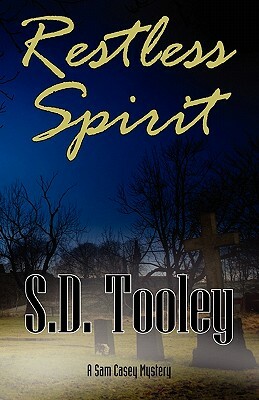 Author Name: Tooley, S. D.